Police pushed protesters to Howard and Pratt Streets. Several agencies, including Montgomery County and Maryland State Police assisted. P. Kenneth Burns , “[Untitled],” Preserve the Baltimore Uprising: Your Stories. Your Pictures. Your Stuff. Your History., accessed April 23, 2019, http://baltimoreuprising2015.org/items/show/10377. 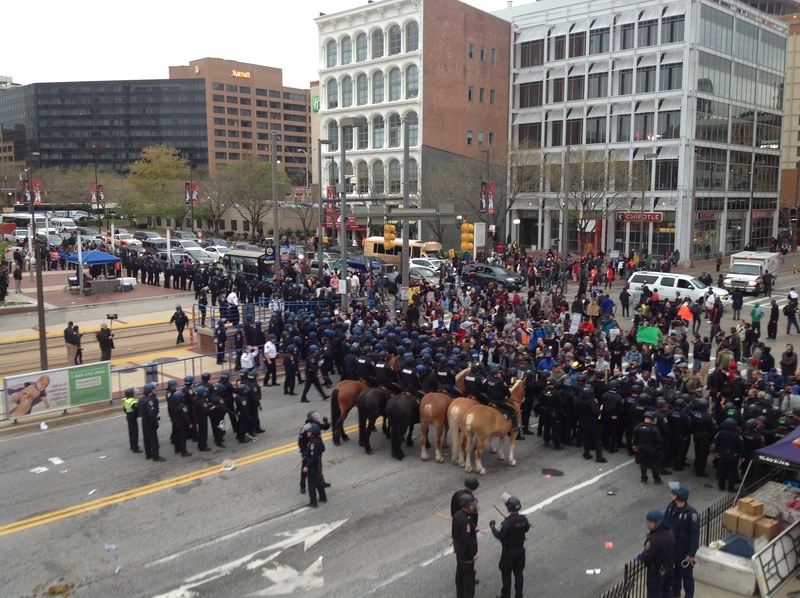 Description: Police pushed protesters to Howard and Pratt Streets. Several agencies, including Montgomery County and Maryland State Police assisted.